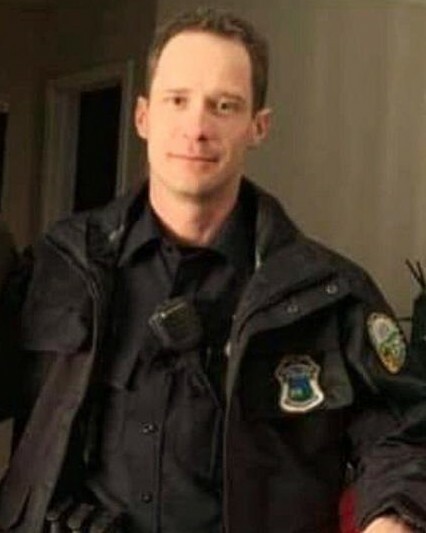 Lord God, our hearts and prayers go out to the Chattanooga, Tennessee Police Department and for the family, friends, and colleagues of Police Officer Nicholas Galinger, of the Chattanooga Police Department, who was killed in the Line-of-Duty on Sunday, February 24, 2019. Father God, have mercy on us and their souls. Rest easy my Brother-in-Blue. We will take it from here! Now, join the Lord and rejoice in Paradise! God speed! Amen. The National Police Wives Association would like to extend their heartfelt prayers to the family of Officer Galinger and the Chattanooga Police Department during this time. Thank you, Officer Galinger, for your service. Rest in Peace Officer Galinger. Thank you for your service. My thoughts and prayers are with the Galinger Family and the Chattanooga Police Department. I am sad to learn of the passing of a much to young brother and hero in Police Officer Nicholas Galinger. I know our Heavenly Father has welcomed him home into his loving arms where he will now patrol the Golden Streets of Heaven. May the Lord deliver blessings, comfort and peace to his family, friends and all members of Chattanooga Police Department. Rest in peace Officer Galinger. Too short of a career but nonetheless a hero forever. Hope they found the coward that struck and took your life. The thoughts, hearts and prayers of everyone here at CCPD go out to the families, both blood and blue, of Officer Galinger. May the Good Lord give you strength, comfort and peace. You are lifted up in heart, thought and prayers. May God comfort, hold you close and give you His peace that surpasses all understanding to keep your hearts and minds through Christ Jesus now and always. Thank you for your service. Your service, however brief. will never be forgotten. Rest in peace Brother. Our prayers and condolences go out to the family and agency. RIP my brother may God welcome you to the Streets of Gold. I pray that the suspect will be quickly apprehended and justice prevails. Caldwell County Sheriff's Office, N. C.
My family and I would like to extend our sincere condolences to the family, friends, and fellow co-workers of Police Officer Nicholas Galinger during this difficult time. May they find comfort and support from those around them. May happy moments from the past bring forth precious memories to cherish for a lifetime. May God help heal their aching hearts. Thank you for your service and may you rest in peace Police Officer Nicholas Galinger. badges gleaming and shoes like glass, are your brothers and sisters of Law Enforcement. All of whom have previously paid the ultimate price. This inspiring poem was written by Jim Weaver, a retired LAPD Officer and former Idaho Sheriff. It is submitted with his full support and approval. We feel ceremonies such as this actually occur in the Heavenly Realm. We can all gain a glimpse at… ImagineHeaven.net …with the faith building book by Pastor John Burke, and his NDE interviews with credible individuals granted such Near Death Experiences. Both my Pastor and Family Doctors feel many such instances are fully valid. Indeed, “Do nor fear…for it is the Father’s good pleasure to give you the Kingdom” (Luke 12:32). May the Family, Friends and Department be comforted as Magnificent Reunions truly await all Christians!